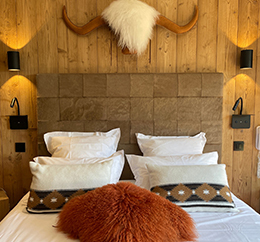 The four star Hotel Labrador at Les Gets has four types of bedrooms to cater for every requirement. 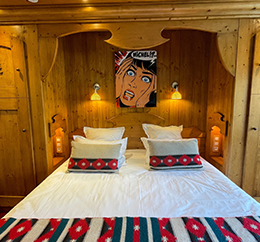 Located right next to the ski pistes, the comfortable and spacious bedrooms of the hotel offer breath-taking views of the snow-covered mountains of Les Gets in the Portes du Soleil ski area. 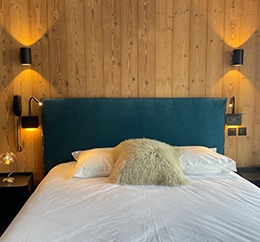 Whether you are travelling alone, as a couple, with friends or as a family, you are sure to find a room and a package to suit you. 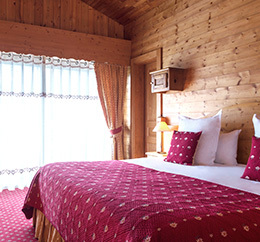 The rooms are available with a breakfast only or a half-board tarif. 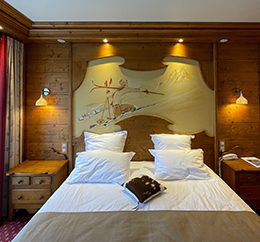 All rooms types—whether ‘classic’, ‘superior’, ‘privilege’, ‘suite’, or ‘family room’—have been lovingly decorated. 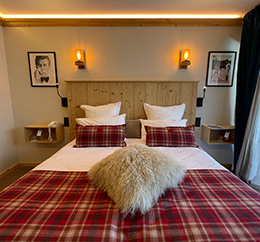 Revel in the atmosphere of the mountains and of the region from your bedroom: each enjoys plush carpets, wooden furniture and double-glazed windows which allow the daylight to stream in but keep out the cold and any unwanted noise from outside. The fabrics in the room, finished in soft, pastel colours, create such harmony that you feel completely cocooned in peace and tranquillity. 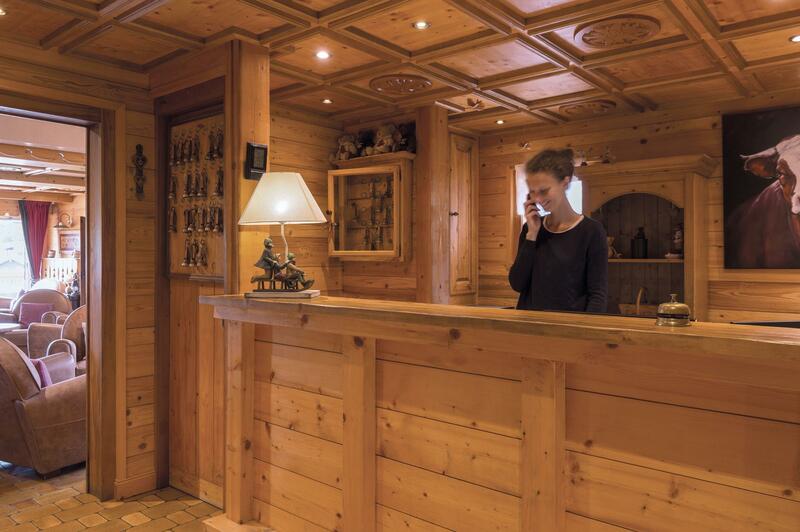 For your complete comfort, a turn-down service operates every evening in winter.